Glucosamine HCL is very popular and now taken as a supplement regularly by many who have found it beneficial. Bio-Health’s product is guaranteed and certified pure and of vegetable origin. 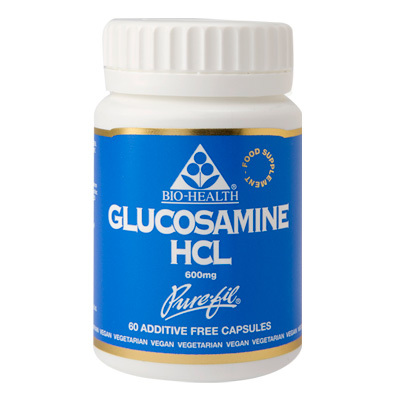 Each capsule will deliver 83% active Glucosamine and a dose of 1,800mg per day considered active for best results.